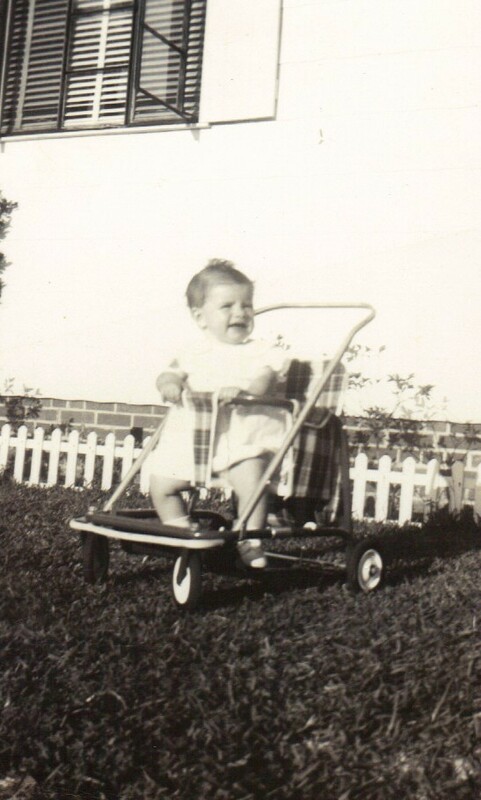 Meet Me On Monday…I Was Born…56 Years Ago Today! 1. What is your favorite kind of potato chip? For me, nothing beats plain old Lay’s Potato Chips! 2. Do you make your bed everyday? I am ashamed to admit it, but sometimes I do not! I have gone for as long as a week without making my bed. 3. How often do you go to the hair salon? Every six weeks…just like clockwork! 4. What do you dip your French fries in? Ketchup! I am a lover of ketchup! Heinz is my favorite brand. 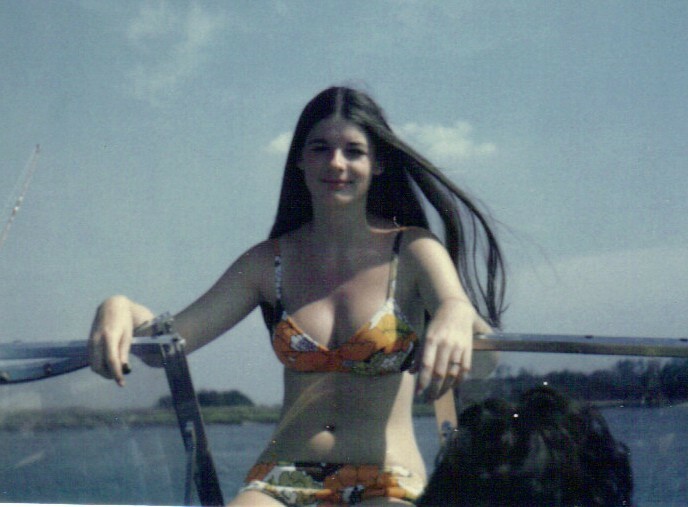 I was born on August 30, 1954 in the city of Jacksonville, Florida. I was born at 1:32 in the(I think) morning. I remember my daddy was a salesman and worked “on the road”. I believe that someone had to summon him in from a trip for my birth, but he made it there in time. Five short years later I was still at home because I didn’t begin school until first grade. On television, I remember watching Captain Kangaroo, good old Mr. Greenjeans, and of course there was “Bunny Rabbit”–the carrot-stealing puppet! I remember getting a “Tiny Tears” doll for Christmas sometime around age 5 or 6. She was special because she drank her bottle, and cried “real tears”. Now that I collect dolls as a hobby, I am amazed to discover how much “Tiny Tears” is worth these days!!! When I turned 10, I was entering the fifth grade. I got the teacher that everybody dreaded getting–Miss Burke. She was an “old maid”, and she had a reputation for being “mean”! She was one of those strict teachers that didn’t tolerate any misbehavior. I was well behaved, so I didn’t have any problems in her class. I only spent six weeks with Miss Burke, when my parents decided to move to another town. By age 15, I’d been dating for an entire year. I’d had three steady boyfriends, and I felt like “an old pro”. In reality, I was very much still a child, but then I’ve always felt old beyond my years. I’d just met my “future husband”,Ed, and had promised to wait for him while he served his three-year tour of army duty…and wait is what I did, while I completed high school. My 25th birthday found me with nearly a year of motherhood “under my belt”. 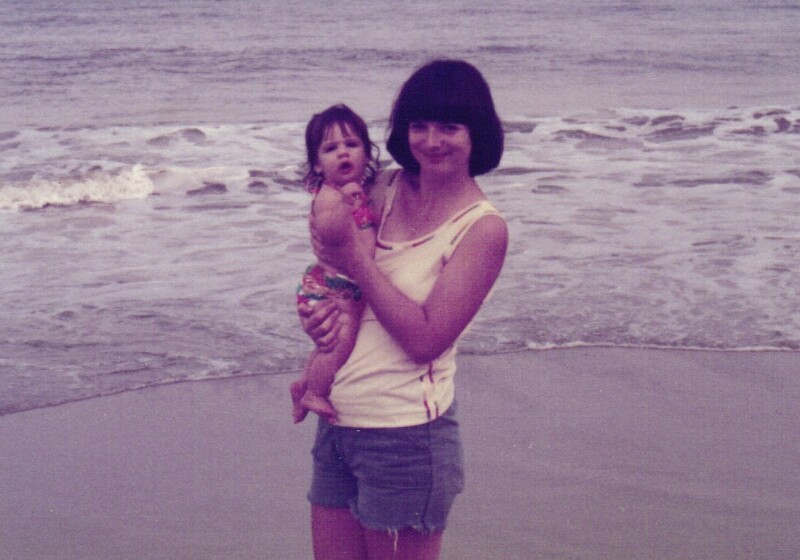 I’d given birth to a daughter just a month after my twenty-fourth birthday. I loved being a mother, but the baby had been colicky and those first few months had been difficult. 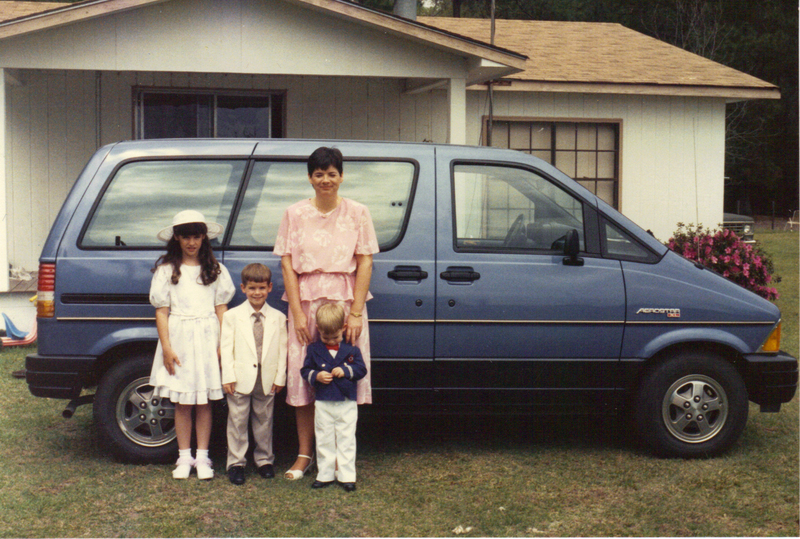 I was literally a “stay-at-home-mom because I didn’t have a driver’s license! 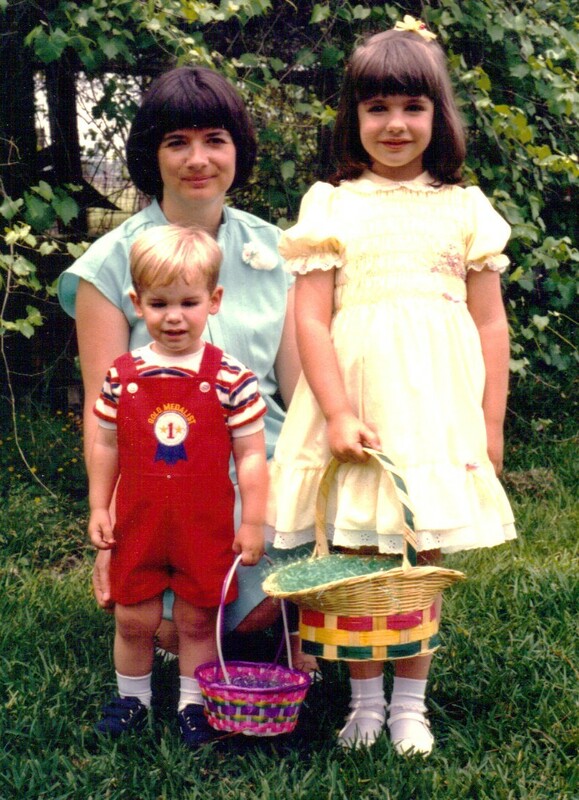 By age 30, I had become the mother of two. 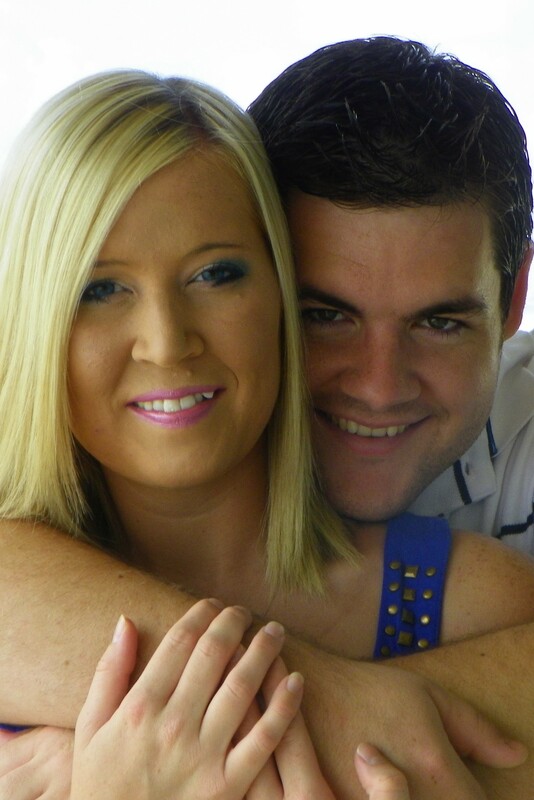 We’d added a little boy to our family, about three and one-half years after our daughter, Brandy, was born. My life was busy as the mother of a kindergartener and a two-year old! I’d finally gotten around to getting my driver’s license, and a car. It was nice to be able to finally go places, although I was still a stay-at-home mom. Middle aged, already, I found myself a thirty-five year old mother of three! Who knew? And to think that people thought that Ed and I weren’t going to have any children!!! By then, Brandy was in middle school, Brett was in elementary, and the youngest, Brad, had turned four. Brad was the only one of the children who didn’t attend preschool. I kept him home with me, and taught him myself. It had now been 12 years since I’d worked outside the home. 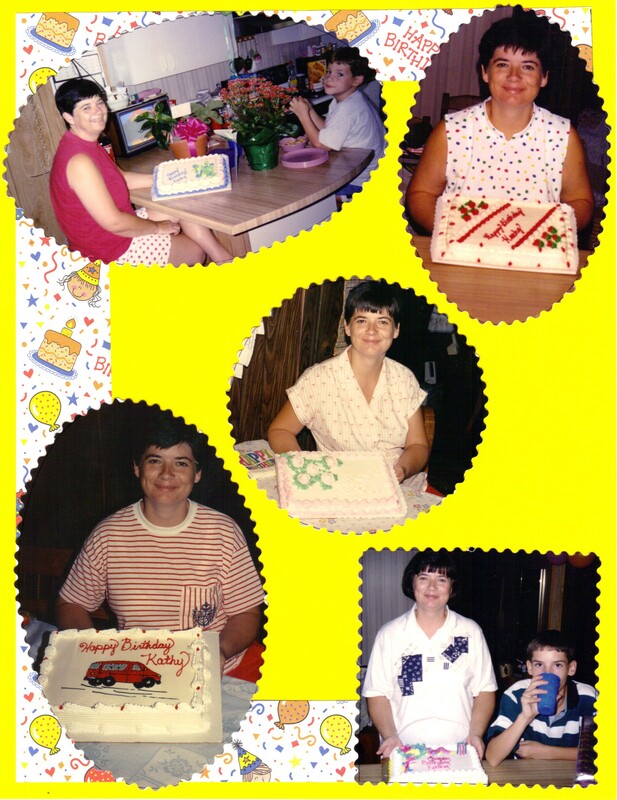 Age 40 found me with all sorts of changes in my life since age thirty-five! I’d gone back to work after fourteen and one-half years of staying at home. I’d followed my youngest to school, and had become a first grade paraprofessional. I’d also become ill, and had been diagnosed with Rheumatoid Arthritis and Fibromyalgia. After spending the spring and summer of 1994, practically disabled, I began to go into remission and was finally able to continue working, but with a modified life-style. Where did the time go? By the time I turned 45, my daughter had finished high school, and was holding down a full-time job. She’d tried college, but found it wasn’t for her! She was involved in the second of her three serious relationships. Our middle child was about to begin his senior year of high school, while the youngest was entering the ninth grade. 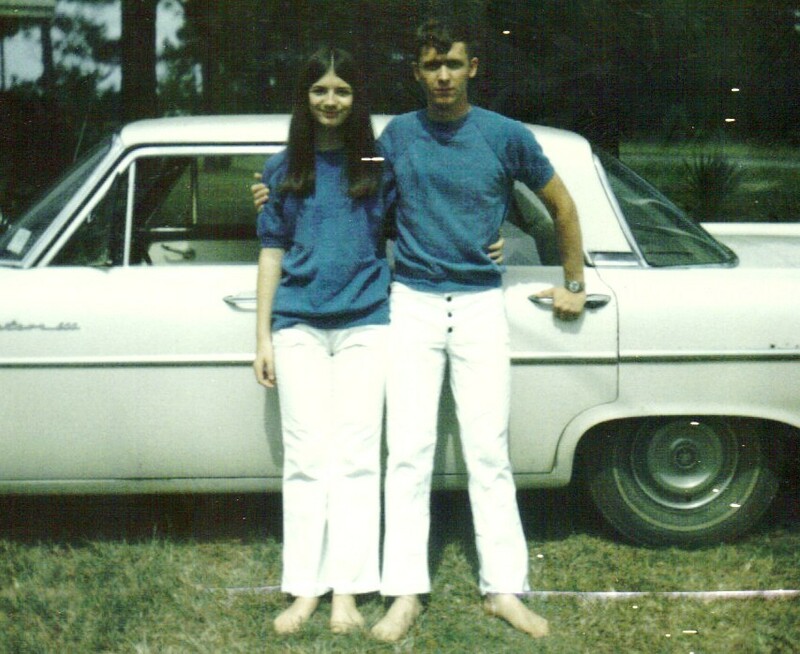 Those were some of our most turbulent years– being the parents of teenagers! I do not miss those days at all!!! 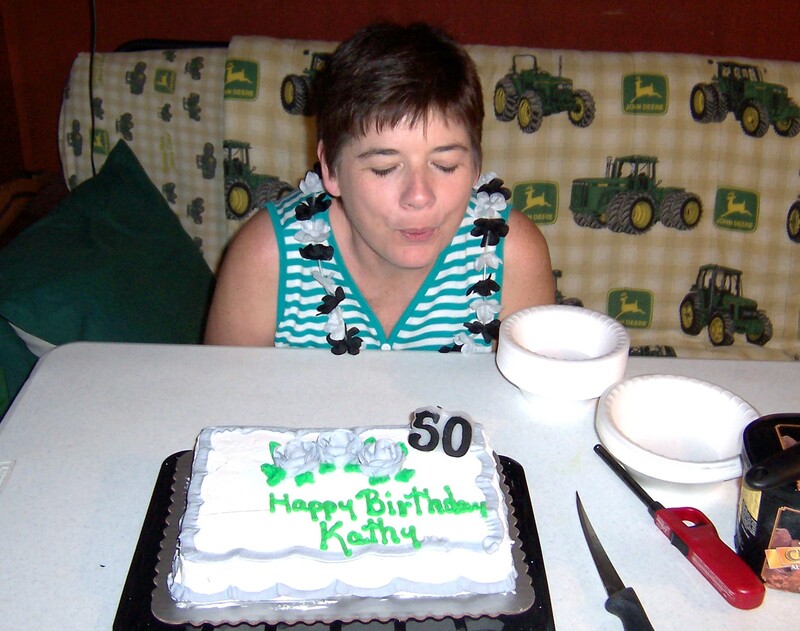 50 years old seemed like a blessing after what all was going on at age 45! Life was beginning to slow down. Our oldest, Brandy, had gotten married. (Serious relationship # 3 had worked out.) Our oldest son had moved out, for the second time, and was finishing up college and getting his first “real job”. We still had the youngest son living at home, but he was working days, and going to college nights. He was rarely home. By now, I’d had a total hysterectomy, as well as a cervical fusion! The good news is…both surgeries improved my health and quality of life! I was feeling good again! Enjoying my life is exactly what I’ve been doing! My husband and I moved out of our previous family home(of 30 years) next-door, and are now living in the new house that he ( literally) built for us in 2007. It’s been an adventure getting used to a new home after so many years in the other one. If we ever get homesick, we just walk over and visit our daughter, who lives in the “old homeplace” next door! We now have two precious grandchildren–instead of just one–double the pleasure, double the fun! Both grandchildren live within a “stone’s throw” of us. Our days are never boring when the kiddies are around! It’s so great to be able to love them, then send them back! These days, I’m blessed to be able to do exactly what I want to, almost every day of my life, and it’s wonderful! My health is holding up pretty well, and I pray that I have a few more good years left. Time will tell. It’s been my experience that five years can bring about a multitude of changes, so I guess we’ll just have to wait and see what the future has in store! I don’t usually post on Sundays, but I wanted to do an update to yesterday’s SWS post about it being Jennifer’s 24th birthday party. It turned out to be such a special day. Our family likes to get together and grill out, and that is what we did in honor of Jennifer’s birthday. (In case you don’t know, Jennifer is our youngest son, Brad’s, girlfriend.) I furnished all of the side items, while everyone brought their own meat to grill. We had an assortment of grilled meats–ribs, chicken, steak, and pork chops. Apparently, everyone was in the mood for something different! Brad was in charge of ordering the birthday cake, and he did a nice job of ordering his first cake! He only had to change the order once–after he ordered the wrong type of frosting the first time. Next time he will know that Jenn prefers buttercream frosting over the whipped kind! After the meal, we sang happy birthday, while Jenn was a good sport and wore her birthday tiara! Brad cut the cake and we all “pigged out” on cake and ice cream. Then we retired to the living room to watch Jennifer open her birthday gifts. The highlight of the evening was when she opened her gift from her daddy. He had picked it out himself. He gave Jennifer a beautiful locket with a symbol of mother and child on the front of it– complete with a tiny photograph of her mom inside of it. Oh my goodness, what a perfect gift! 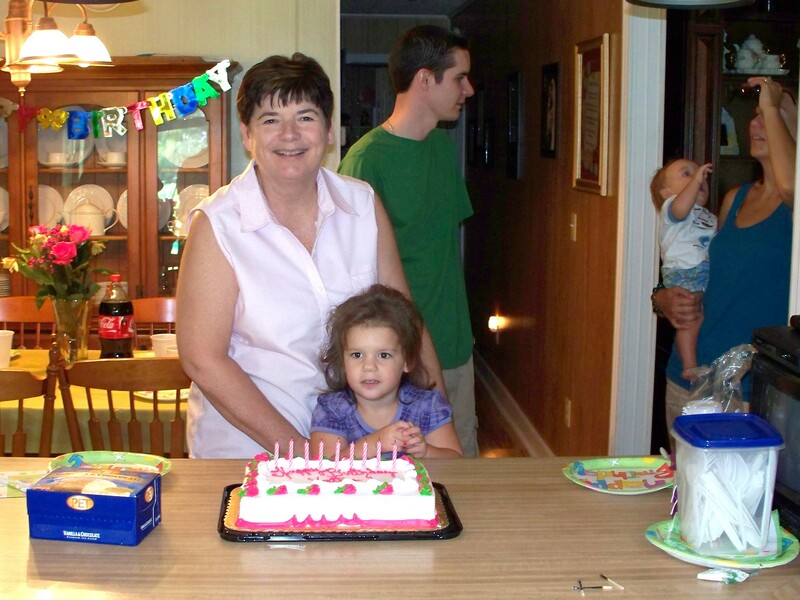 There wasn’t a dry eye in the house…and so it appeared that even though Jenn’s mom wasn’t able to be with her sweet daughter in a “physical sense” on her birthday, she was very much with her in a “spiritual sense“. I’m thinking that locket will become one of Jenn’s most prized possessions in the future. The Lord works in mysterious ways, doesn’t He? Welcome to SWS hosted by Cate at http://www.showmyface.com. 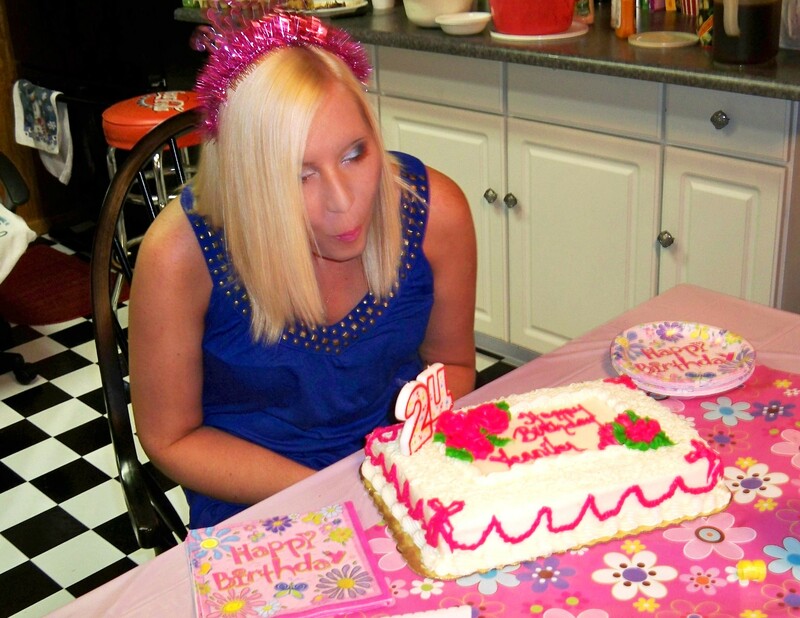 My six words for today are: Happy 24th Birthday to you, Jennifer! Today is “our Jennifer’s” birthday…she turns 24 years old! Jennifer is special to us, and we already claim her as “ours”. We will be helping her celebrate her special day by having a cookout/birthday party this afternoon.. It will be her first birthday without her mom, so we know that it will be a bittersweet day for her. However, our wild and crazy family will do our best to make sure that Jennifer has a fun and memorable birthday! I was “tickled pink” when I saw that today’s theme for Flashback Friday was about music! After two weeks of trying to remember my school days, I finally get to write about something near and dear to my soul–music! I have to attribute my “love of music” to my older brother. He’s a lover of music, too, and he introduced me to all kinds of music when I was a budding youngster. He was married for most of my childhood, but he always had the coolest cars ( Roadrunner, Charger, Corvette) with the best sounding stereos in them! He had a great sounding stereo in his house, as well–and he likes to “crank up the volume”. I can’t sing worth a flip, and never could master a musical instrument, but I CAN appreciate good music! I can usually spot a hit song BEFORE it becomes a hit. I think my brother hasthat same gift. I love all kinds of music, with the exception of Rap music–I just can’t stand Rap! 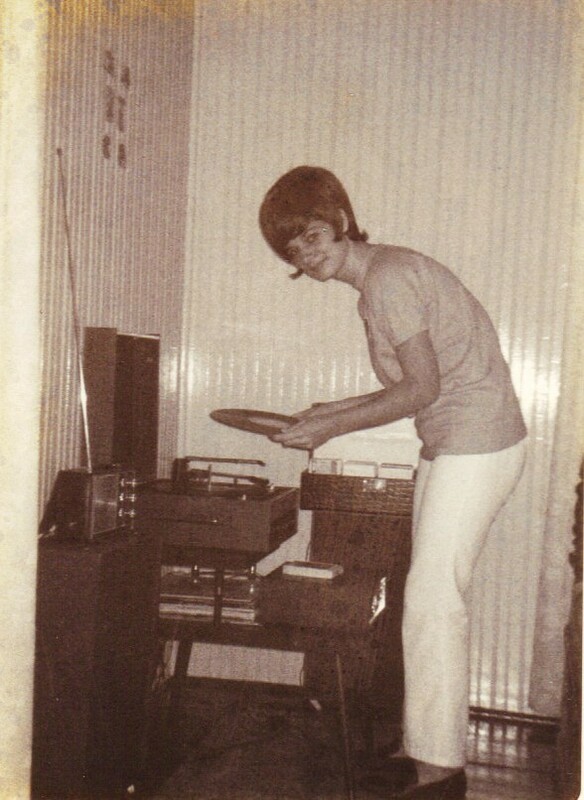 I was about twelve when I got my first stereo record player. Prior to that, I only had a small plastic AM transistor radio. It was very small and portable, and it only worked on batteries. Did I mention that it only picked up the local radio station? Did I mention that our radio station only played hits that were over 6 months old? About three years later–at the tender age of fourteen–nearly fifteen, I met my future husband, Ed. We immediately fell in love, but he had joined the army and had to go away for army training. He decided to give me his stereo to keep for him while he was away. In return, I gave his younger brothers my old stereo. Ed’s stereo was much nicer than mine! He also let me have his AM/FM radio. I was thrilled! FM stations were still relatively new at that time, and I was thrilled to have a radio that would pick up FM stations–especially at night. Eight track tape players also became popular about the time that I met Ed. He installed an eight track player in his old car–a 1961 pink Mercury! We’d ride around with the music blaring away– just like typical teenagers. Back then cars only had AM radios in them, and there weren’t very many radio stations. Believe me, it was a wonderful thing to have a tape player in your car! Some of our favorite eight track tapes that we listened to while riding around were The Supremes, The Temptations (yes, I loved soul music, and still do), and The Four Seasons. Ed left his collection of eight track tapes with me while he was away in the service. Eventually, I saved up enough money(from my after school job) to purchase an eight track player for my room, and I hooked it up to Ed’s stereo. Me putting a record on Ed's stereo. Notice the radio to the left, the eight track player in front of me and the box of tapes to the right...I am also wearing a wig--a fad back in those days! There weren’t many concerts happening in our area back in those days, but Ed did manage to take me to see a Billy Joe Royal concert for my fifteenth birthday! Man, now I feel really old! Who remembers “Down In the Boondocks”??? Billy Joe Royal was our only concert together until after we were married, and moved to the city. Later, Ed took me to see “The Eagles”. Oh, how I loved “The Eagles”! I also loved “The Doobie Brothers”, so we saw them in concert as well. I never remember my parents complaining about any of my music, so it must not have bothered them. Looking back, some of it probably should have! I still remember purchasing my first 45’s as a young teenager. One of them was “Yummy Yummy Yummy”(I’ve Got Love In My Tummy) (I laugh now whenever the cereal commercial comes on with that song playing in the background!) Love in my tummy?–It kinda’ sounds like a pregnant woman, doesn’t it? Another favorite of mine was “Crimson and Clover”by Tommy James and the Shondells. I listen to those songs now and think “What was that all about?” Someone told me years later that the song was referring to a drug “trip”…I never knew that! Oh, and I really liked the song “Love Is All Around” by the Troggs. You know, it was the 70’s…and “Love was groovy”!!! I’ve really enjoyed taking this musical stroll down memory lane. For more memories, hop over to http://www.mochawithlinda.blogspot.com and read what others have to say–better yet, write your own post and join in! I’m also joining Java at http://www.nevergrowingold.blogspot.com for her Bloggers Over 40, Follow Friday–cause I’m over 40 and I like to follow and be followed…Have a great weekend everyone! ***I’m linking up today with http://www.mrsmamadrama.com and http://www.bellycharms.blogspot today for their co-hosted blog hop called “Think of Me Thursday”. If you’d like to hop along, check out either blog for details on how to link up. I was going through old photographs the other day, and I found some pictures of “Freckles”. It’s been a while since I’ve posted a “Shelter Tale”, so it seems like a good day to write one. Be forewarned though, this one doesn’t have a happy ending. Way back in 2004 I was volunteering at our local animal control shelter. I was adopting LOTS of animals, because I couldn’t stand the thought of those beautiful, innocent, kittens and puppies being destroyed. I was letting my heart overrule my head…I couldn’t help myself! More times than not, after doing my Friday afternoon volunteer shift at the shelter, I would end up bringing some kind of an animal home with me. I already had several cats and kittens, as well as two adult dogs, and a hound puppy at home–when I went for my usual Friday visit to the shelter and saw “Freckles”! It was love at first sight! He was a white, fat, fluffy, little butterball of a puppy! I knew my husband was probably going to kill me, but I had to have “Freckles”. Freckles--just look at that face! 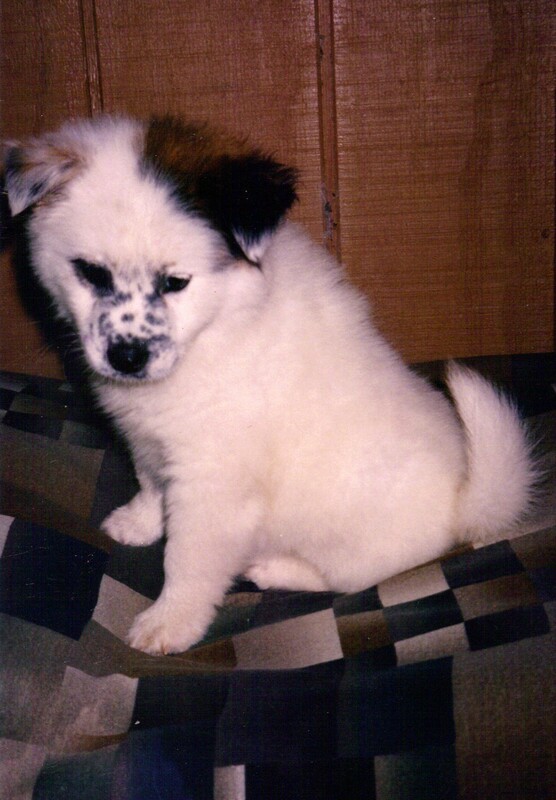 I have no idea what kind of puppy that “Freckles” was, but he reminded me of a “Chow”. His fur was thick and fluffy, and he was white all over except for his ear. He had little black spots sprinkled all over his muzzle–hence the name “Freckles”. “Freckles” also had a hernia, so I took him to the vet to get him checked out. The vet said that it would be fine to let the hernia wait until it was time to have “Freckles” neutered, then he would repair it at the same time he did the neutering. About four months later, “Freckles” was neutered and had his hernia repaired without any complications. He was a happy healthy little puppy. 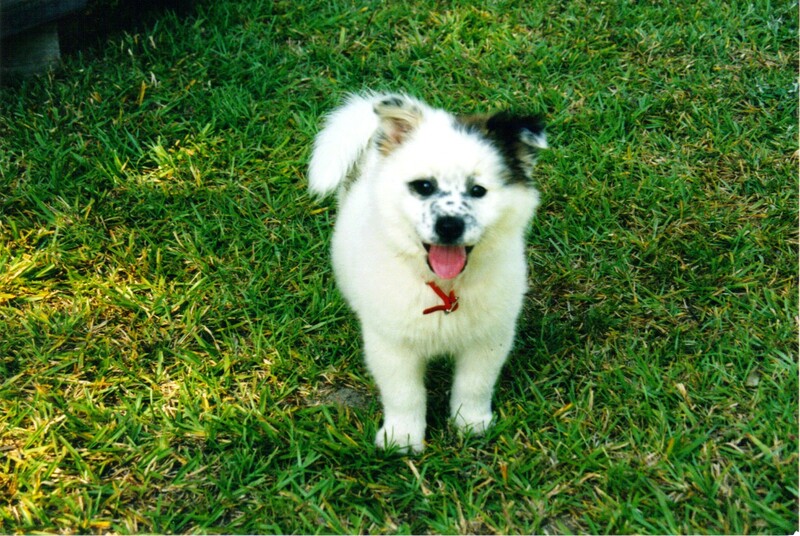 Our old collie mix “Hobbs” (the first dog that I adopted from the shelter) acted as “mother” and caretaker to “Freckles”, as well as the hound puppy that I adopted a few weeks before “Freckles”. They were one little happy family. Then when “Freckles” turned a little over a year old, his troubles began. He developed the red mange. He began to scratch a lot, and due to frequent scratching, he began to develop huge sores on his skin. I never did totally understand everything about mange, except that it concerns a dog’s immune system and mites. There are two types of mange, regular mange, and the red mange. The red mange is the most difficult type to cure. 80% of all dogs treated will be cured, the other 20% will not. The treatment for red mange is a dip prescribed by the vet. It’s a strong chemical type of medication that is mixed with water and sponged all over the dog. You have to wear gloves to protect your skin. It burns if it gets on your skin. Judging from the way “Freckles” behaved, it must have burned his skin, too. Treatment consisted of two treatments given two weeks apart. After being dipped, “Freckles” would act really sick for several days. He was one miserable-looking dog. After we’d dipped him twice, “Freckles ” still had huge sores. I took him back to the vet, and they shaved all of his beautiful fur off. We followed that with two more rounds of that horrible chemical dip. “Freckles” just got sicker and looked more miserable. He was no longer active. He didn’t play with the other dogs anymore. Instead he laid around licking his large, bloody, weeping wounds. Unfortunately, our poor “Freckles” fell into the 20% category of dogs who are unable to recover from red mange. He could not be cured. I was forced to make the toughest decision that I’ve ever had to make regarding one of my pets. I made the choice to have him put to sleep to end his misery. It was a sad day when my husband and I took “Freckles” to the vet for the final time. I stood outside the office building on the steps and cried. It makes me cry to this day to even think about it. My husband went in and held “Freckles” until he breathed his last breath. He came out with tears in his eyes, and swore that he would never do anything like that again. So that is the story of “Freckles”…a life that didn’t go exactly as we planned, but we gave him the best that we could–we tried. The Christmas following “Freckles” death, I hung a small ornament of a freckle-faced dog, wearing angel wings on our Christmas tree. I like to think that he’s still with us in spirit somehow. 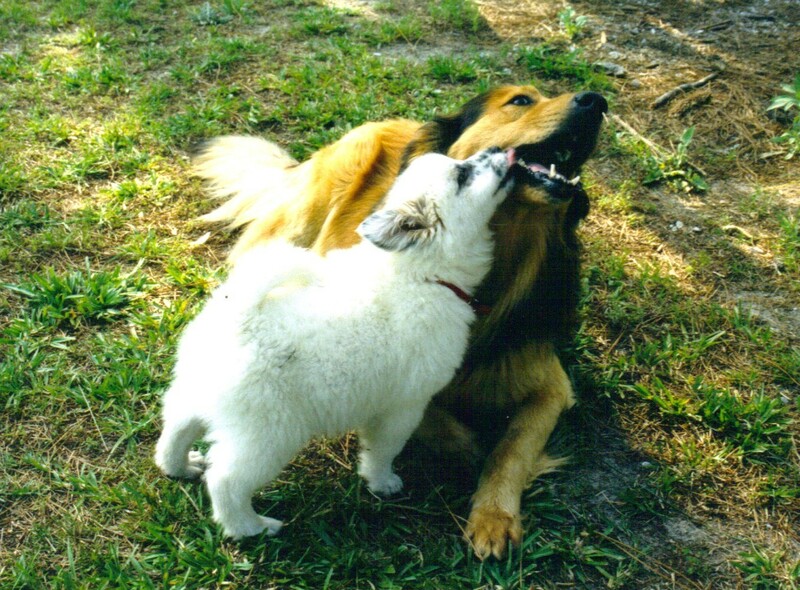 At least he’s not alone in “Doggie Heaven” anymore, the old collie “Hobbs” who took on the role of his”mother” and caretaker, passed away this year at Easter. 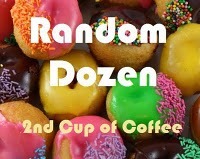 I’m joining “Lid” at http://www.2nd-cup-of-coffee.blogspot.com for another Random Dozen…because I enjoy answering her questions, and participating in this meme–and it’s a day that I don’t have to “tax” my brain too hard to think of what to write about!!! Here are this week’s questions and my answers. 1. What is your favorite Mexican dish? Well, believe it or not, I am one of those people who really doesn’t care for Mexican food, but I’ll say tacos, because I do eat those every now and then. 2. When you were a kid, did you get started on your homework right away after school, or did you procrastinate? 3. What is your favorite store for home furnishings? Any store that has what I am looking for! I don’t have one particular store that I am partial to. Years ago there was a local store called Joseph Evans Furniture. Mr. Evans had his furniture set up in “pretend” rooms so you could see how it would look in your house–sort of like Rooms To Go. I guess his idea must have caught on! 4. When you were young, did you like school lunches? Yes, actually I did. My favorite lunch was Ravioli, while my least favorite one was Salisbury Steak. 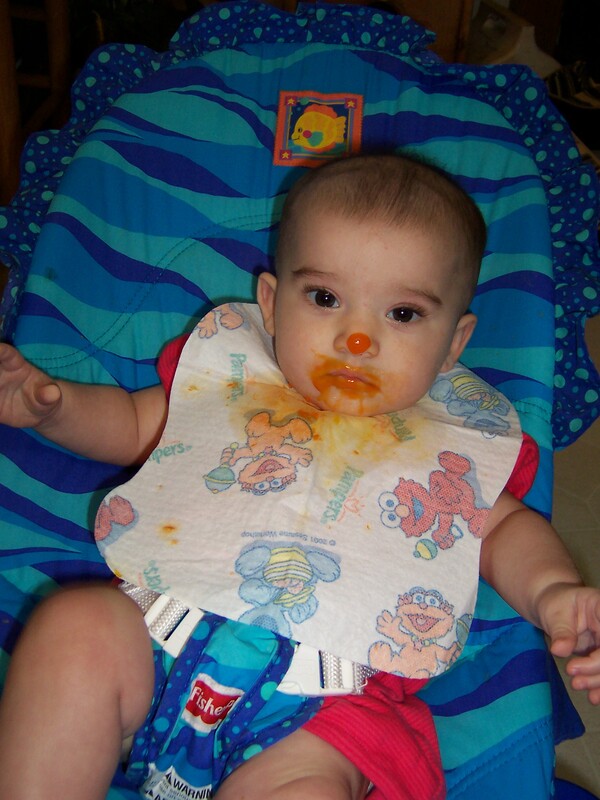 Then I became a teenager…and it was no longer “cool” to eat in the lunchroom! 5. Is religion a crutch? No, I’ve never thought of my religion as a crutch. 6. In your region, what is the “big” (most popular in the community or state) high school sport? I would say it’s football–definitely, football! 7. Do you consider yourself rich? If you are talking “moneywise”…no. If you are talking “blessings”…yes! I would say CPR–because my husband has told me and showed me how to do it several times. He’s performed it numerous times over the years, because he works in a hospital. He actually performed CPR on my daddy once! 10. What’s the worst news you’ve ever delivered to someone? Having to tell my mother that my father had died. They had been living in a nursing home (together) for about 2 years. He was in and out of the hospital a lot during that time. In May of 1991, daddy went to the hospital for tests, ended up having exploratory surgery, the died a few days afterward from surgery complications. He was only 65 years old. 11. Name something you learned in college that had nothing to do with classes or academics. I never attended college after high school, but about 30 years later, I decided to enroll in “on-line” college classes. I successfully completed two semesters of college on-line(and began a 3rd before I decided that I no longer wanted to teach preschool). I learned that I can do anything that I set my mind to, and I also learned that they sure do keep those high school transcripts for a l-o-n-g time! 12. New variation on an old question: If there’s a song in your head that just won’t get out, what is your favorite (or most repeated) line in that song? I don’t have any song stuck in my head at the moment–no, wait, actually I do. It’s that silly little “Cabbage Patch Kids” theme song–“Cabbage Patch Kids, growing in the garden, Cabbage Patch Kids, growing in the sun…” It was popular back in the 80’s when my daughter was growing up. I recently found the record on eBay and purchased it so my granddaughter could hear it! I always loved that little tune! By the second week of school in 2005, I was already relatively sure that I wasn’t going to be able to continue to remain in the classroom with the teacher that I’d been assigned to. I continued to try to hang on until Christmas, but it just got to be too much to handle. Stress was consuming my life. As the door was beginning to close on my career as a first grade paraprofessional, a new door was beginning to open up for me. I found out, through my daughter, that Michelle, a good friend of hers, would soon be looking for a nanny for her five month old twin girls. The twins had a nanny at the time, but their mother was looking for a new nanny to begin work in January. I inquired about the position. After talking with both parents, they agreed to hire me. I was going to start in January, and I would be going to their house to keep the girls. Beleive it or not, excluding the insurance benefits, the pay was pretty close to what I had been making working at school. In the meantime, I gave my two weeks notice at school at the end of September. I decided I’d just enjoy doing nothing until January. Well, that thought quickly disappeared when the other nanny left earlier than expected…and thus began my “adventures in babysitting” which began immediately after leaving school, and lasted just short of two years. It had been about twenty years since I’d handled any babies, but it’s like falling off a bicycle–you never forget!However, I quickly discovered how to do things in a different way than I had previously done them! I learned how to feed two hungry babies at once! I learned how to rock two babies at once! I learned how to get two babies to sleep at the same time! While twins might seem overwhelming to some…after dealing with 20 first graders for nearly 16 years, five month old twins seemed rather tame. I can’t tell you how much I enjoyed keeping those little babies! These babies were already special to me before I ever became their nanny. I’d watched Michelle go through years of wanting a child, and not being able to get pregnant. Then, finally, after saving up enough money, she went through the invitro fertilization process and became pregnant with twins. They were little miracles–and I got to share their days with them. I became like a third grandma. Fortunately, the babies had opposite personalities. Mackenzie, the larger of the two, was a colicky, demanding child. She cried a lot, and demanded immediate attention–always! Jayla, the smaller, darker haired twin, was a pleasant, easy-going, child–always willing to wait her turn–and it was a good thing! As the twins grew older, and larger, I could no longer manage them both at the same time, and somebody had to wait. I was so happy that Jayla never complained about going last. As they grew bigger, Mackenzie was notorious for getting into trouble, but Jayla would happily follow her! Oh the things those two could find to get into! I couldn’t trust Mackenzie to stay quiet and out of trouble while I put Jayla in the stroller or carseat, so Mackenzie always got buckled in first. Fortunately, Jayla never seemed to mind waiting her turn. She would stand and wait patiently until I got Mackenzie buckled up. You will see a picture of Jayla in this post–immediately after she’s finished eating. 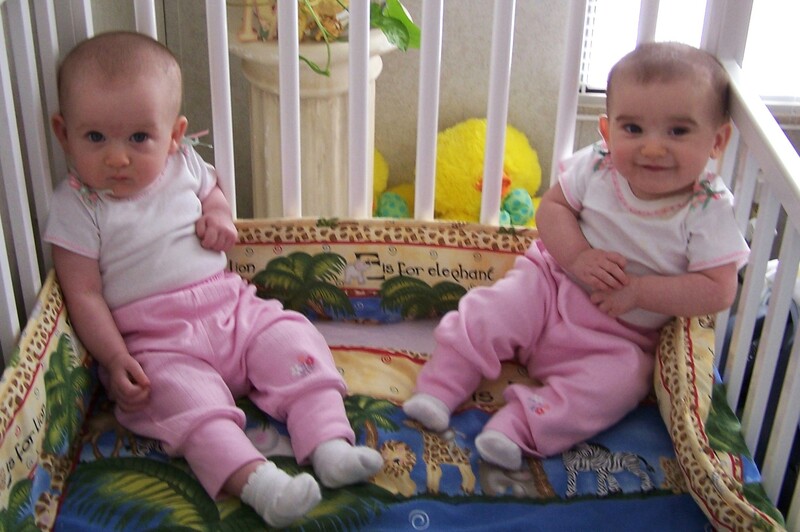 Both twins looked exactly like this–after each and every meal! Can you tell that she had carrots for lunch? 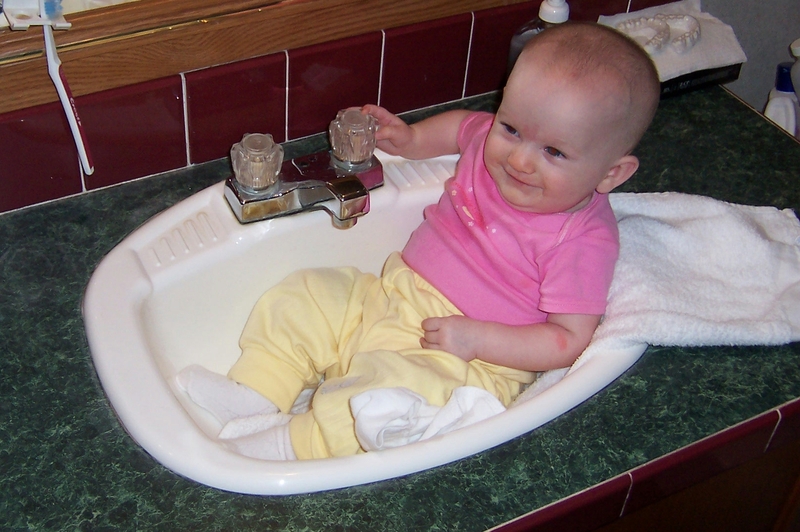 The other picture is of Mackenzie sitting in the sink–taken one morning while she sat watching her mother get ready for work. Placing Mackenzie in the sink was how her mama kept her occupied while she was trying to fix her own hair and makeup! By the time I got to their house each morning, Michelle had already put in a day’s work with the twins–before ever leaving for her job! I have lots more tales to tell–as you can imagine with twins. Some days were more adventurous than others, but something was always going on with those two! I’ll share more tales on another day. Until next time…thanks for stopping by! Yep, you could say that we are currently living in “high cotton”! 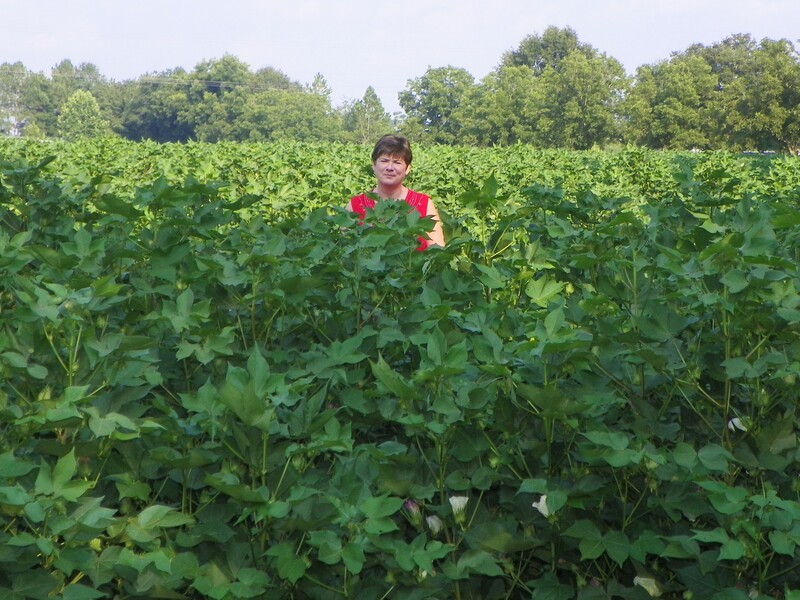 No, we are not rich–the term”high cotton” is sometimes used in the south to describe a “well to do person”. Instead, we are living behind one of the largest fields of cotton that I have ever seen in my life! I am telling you–this cotton is huge! Originally, the family farm consisted of a house, about an acre of yard, and 29 acres of farmland. Over the years, several members of the family have taken small pieces of the field and established our homes on them. The bulk of the field is still located in the middle of all of our residences. My husband and I, hubby’s brother and his wife, and our daughter and her family all live on the back side of the field. My mother-in-law’s house, and my oldest son’s residence are located on the front side of the property. Ed’s daddy originally farmed the land for many years. Eventually, he began to lease the land out for farming. Through the years we’ve had a variety of farm crops grown in front of us. Back in the day, corn used to be the crop of choice, then later rye and soybeans took its place. Last year the farmer planted peanuts–for the first time since we’ve been living here (33 years). 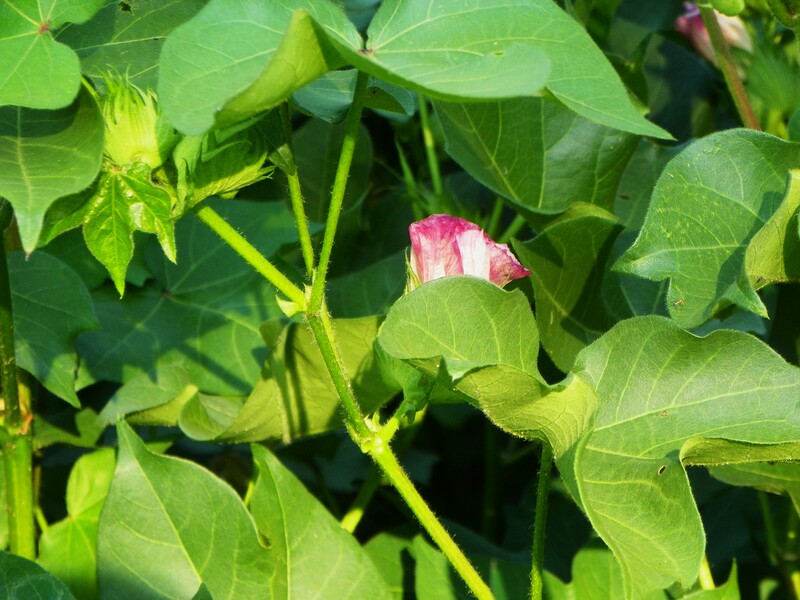 This year we are experiencing another first time crop–cotton! I was thrilled when I discovered that cotton was growing in front of us! If you have to look at something the entire summer, it helps if you like the crop. The bushes are very pretty, and they are covered with two different colors of blossoms! Even the leaves are shaped pretty. 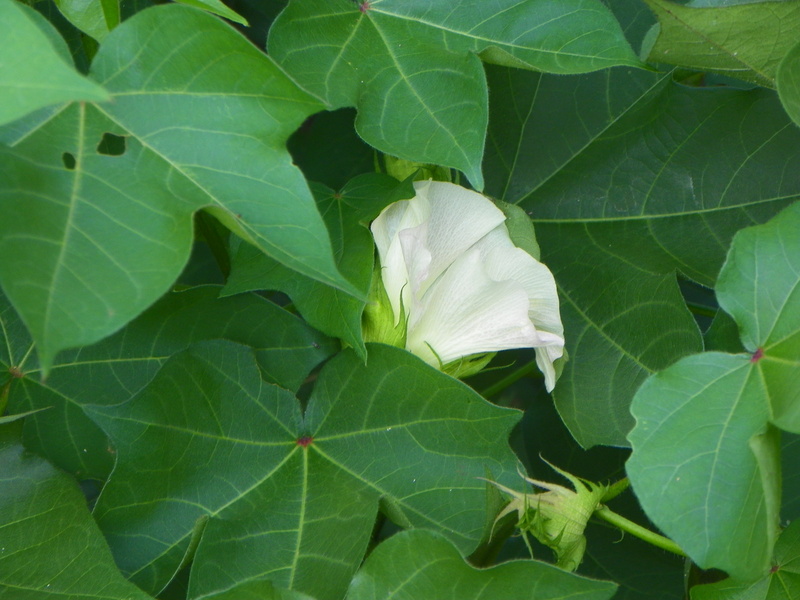 Later, when the bush withers and dies, it will still be covered with those beautiful white bolls of cotton. I think fields of cotton are beautiful in autumn, so I will be eagerly anticipating the fall! It’s been years since I’ve picked a boll of cotton, I think I’ll have to go out and pick one to keep. This may well be the last year that anything is grown in the field. Sadly, things are changing here on the family farm.. 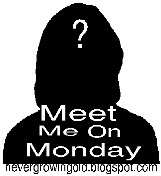 In addition to my regular post, I am linking up with Java at http://www.nevergrowingold.blogspot.com for ‘Meet Me On Monday”. It’s a chance for bloggers to get to know one another a little bit better. 1. What is your favorite kind of doughnut? My regular readers probably already know the answer to this question…I love those large, bakery-fresh doughnuts that my hubby brings home from work–the ones covered with chocolate and nuts! 2. How often do you pray? I don’t pray nearly as often as I ought to, but I try to pray at least once daily. 3. What is your favorite kind of music? I love all kinds of music, excluding rap (which I don’t consider music), but I generally listen to country music most of the time. 4. What do you order when you eat Chinese food? I don’t care for Chinese food, I’ve only eaten it twice. 5. Would you rather snowboard in the winter or swim in the summer? Well, since I live deep in the south, I’d have to say swim in the summer. I’ve never experienced much snow…and I don’t think I could or would snowboard in winter, even if we had enough snow. Jennifer’s surgery has finally been scheduled! Jennifer traveled to North Carolina yesterday, and met with her surgeon. Her surgery has been scheduled for September 16. She is finally making some progress in the right direction! She had some lab tests done while she was there, but still has to go back to North Carolina next week to meet with yet another specialist! At least the ball is rolling now…Thank you for remembering Jennifer(and us) in your prayers, and I ask that you please continue to do so. Thanks to Cate at http://www.showmyface.com for hosting SWS. While growing up, I didn’t participate in a lot of “extra curricular” activities myself, but I got my fill of those kinds of activities through raising my children! 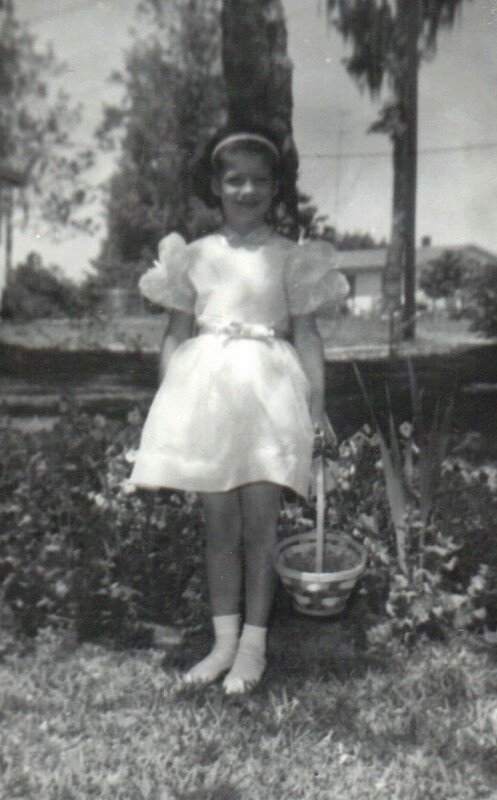 My daughter was like me, and didn’t participate in many activities, but she did take dance lessons for seven or eight years, which meant many public performances and recitals. I was very proud of her the last year that she took dance, when she and a friend performed a duet together! I still remember it–they danced ballet to “Almost Paradise”. I’m not ashamed to tell you that I still have all of her little dance costumes–and her dance shoes! 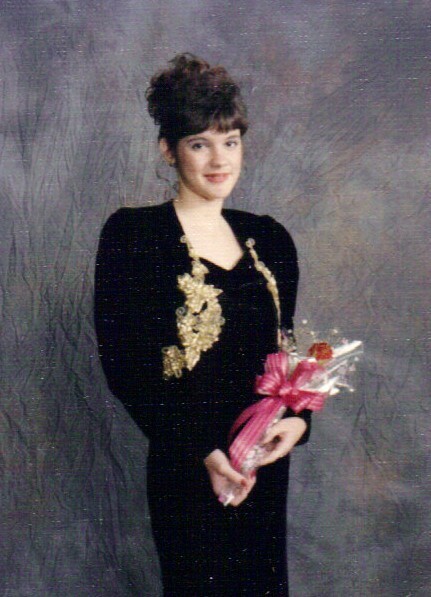 When my daughter was a sophomore, she was elected as a member of the homecoming court. This was a strange and unsettling experience, because of how it came about. 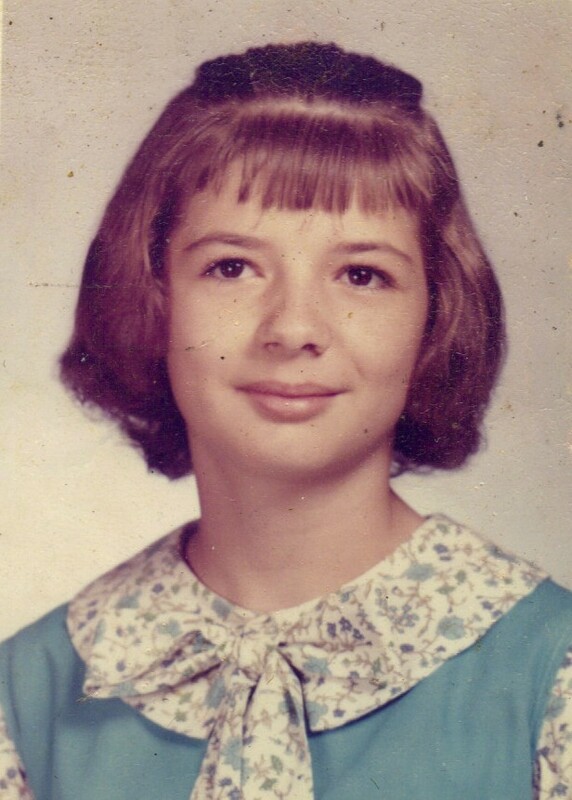 That year there were two girls in the sophomore class with the same name (Brandy)–my daughter was one of them. When the votes for sophomore homecoming representatives were being cast, some students neglected to put a last name on their ballots, so there was some confusion about which” Brandy” was the actual winner. The other Brandy then made some snide comment about how she knew she was the intended choice”– which may have been true, but it made the other students mad that she said that. The students revoted and– my Brandy was elected–probably out of spite. Not exactly how she preferred to have been selected, but none the less, she enjoyed the experience of being selected, and she represented her class well. Now, my oldest son is very smart, and made wonderful grades. He rarely brought home any books, because he didn’t need to. I always wanted to fuss because he never studied, but his report cards were straight “A”s. He always managed to get his homework done at school, and fortunately didn’t require much studying for tests. The youngest son participated in a spelling bee or two, took some guitar classes, and even tried playing basketball in his younger years, but didn’t like it. He switched over from private school to public school for his last three years of high school–against our better judgement. Fortunately, parents can sometimes be wrong, and it turned out to be a very wise move in his particular case. He got re-enrolled in the “Galaxy Class”, which opened all sorts of doors for him. He got an internship at a local bank, and worked there during his last two years of high school. Through this internship, he became actively involved in various community functions, and he became the youngest member of the local Lions Club. 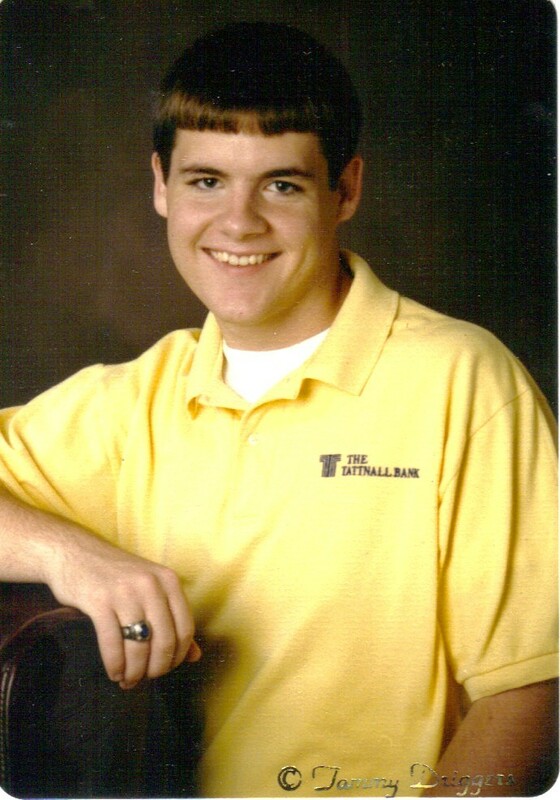 Brad was also a member of the FBLA (Future Business Leaders of America, and won the regional and state competitions for Banking/Finance during his Junior year. Our family attended our share of ballgames over the years. During our daughter’s last years of high school, we attended almost every football game that her boyfriend played in. He was a large fellow, and played as an offensive lineman. He went to public school, while she went to private school. About the time football would be winding down, we would begin to follow our son’s basketball team all over the place. His team actually made it to the “State Finals” during his sophomore year. 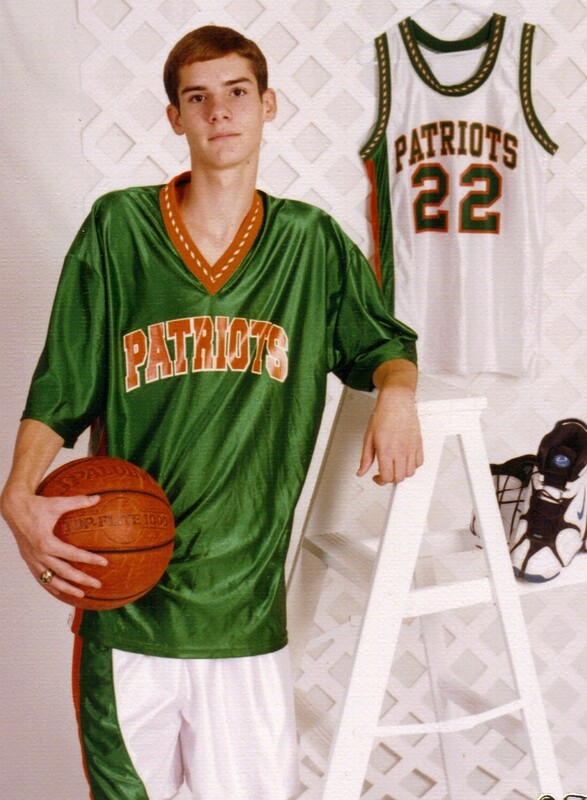 The school had a terrific basketball team that year, but unfortunately, most of their key players graduated that same year. As for me, I never liked sports of any kind in school, so I attended very few ballgames. I attended a couple of football and basketball games through the years, but I was always bored. I remember attending one homecoming game while I was in high school, I think it may have been in my junior year. The parade was always the best part of homecoming to me! I didn’t join many clubs, except for the Spanish Club. I was, also, a member of the Junior Beta Club for one year–in the eighth grade. I was voted as an “Outstanding Senior”, but I don’t remember what that was all about…and that pretty much sums up my school experience. Now you know why I chose to write about my children! 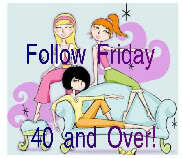 I’m also linking up with Java at http://www.nevergrowingold.blogspot.com for Bloggers Over 40 Follow Friday. Thanks for stopping by…Have a great weekend!